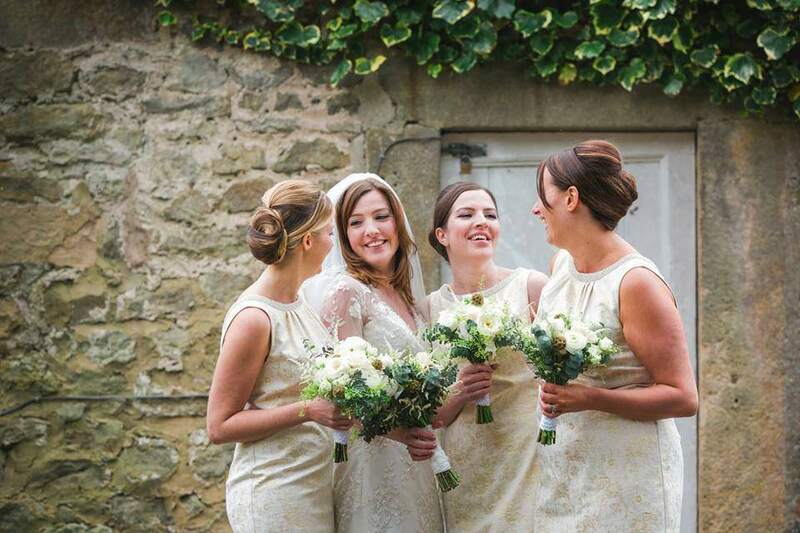 Unlike flowers, cakes and cars, your hair is on show all day, whether you’re a bride, a bridesmaid or mother of the bride, at Kerry Wedding Hair, the wedding hair we provide in Yarm will ensure that you and your bridal party look amazing throughout the special day. If you require wedding hair in Yarm, look no further, Kerry Wedding Hair provide a quality wedding hair stylist service across the area. We also understand that your wedding day is going to be one of the most important and special days of your life, so we make sure that all of our clients feel at their absolute best on the big day. What's more is, you can trust that you’re in the right hands as our wedding hair stylists have the skills and experience required to create bespoke hair style services to brides across Yarm and the rest of the North East for many years. The stylists at Kerry Wedding Hair, will take all of stress out of your day and provide a professional service that travels to you, should you be at your home, the wedding venue or another location, we can be on hand to make sure that the process runs smoothly. Making there one less thing for you to worry about! Our team of professional hair stylists create looks to suit your preferences as well as the overall look and style of the wedding. We want to ensure that you're happy on your wedding day so we'll spend time making sure we get your hair style just right. Our wedding hair specialists will incoporate your wedding theme and which ever bridal hair accessories you choose, whether it’s hats, tiaras, fascinators or other hair adornments. Check out some of our hairstyles here. For wedding hair in Yarm, call Kerry Wedding Hair today! For bride styling, bridesmaid hair, or wedding hair for the mother of the bride or wedding guests in Yarm, look no further, simply call Kerry Wedding Hair today. We can be on hand to assist with all of your wedding hair in Yarm, Stockton and Middlesbrough. For exceptional wedding hair stylists contact us today. and a great hairdresser, my hair stayed lovely all day!"